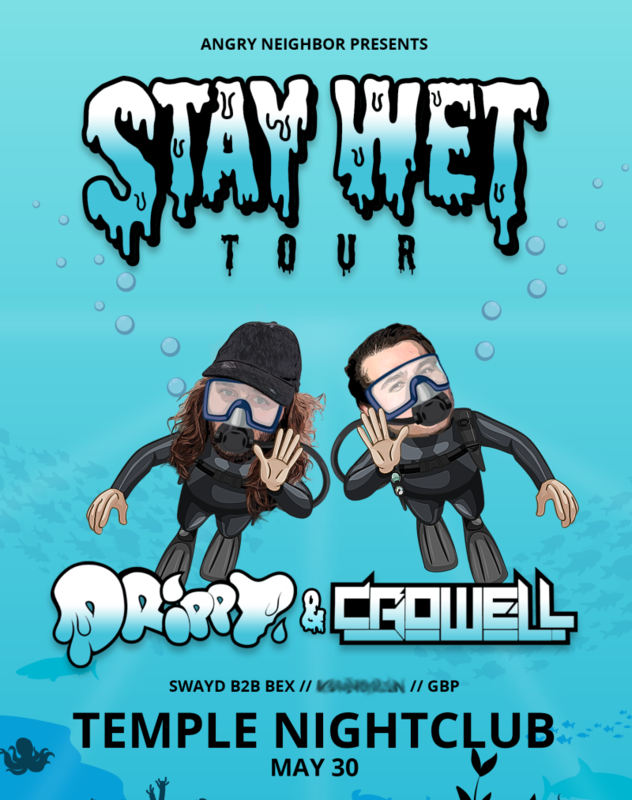 We are excited to bring out Crowell and Drippy on their Stay Wet tour!!! Then the bass capital standouts Swayd b2b BEX and KSUHDILLA will add some heat. From Colorado Springs GBP makes his Temple Denver debut!!! Temple Denver is a 21+ experience.